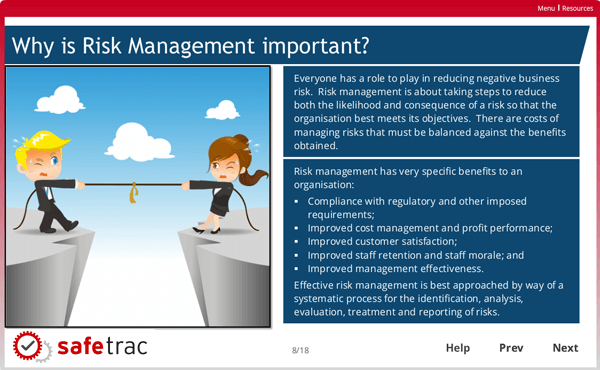 Risk management is about taking steps to reduce both the likelihood and consequence of a risk so that the organisation best meets its objectives. Safetrac’s ‘Risk Management Awareness’ course provides you and your employees with an introduction to the field of risk management and provides a systematic process for the identification, analysis, evaluation, treatment, and reporting of risks. understand how risk should be treated.